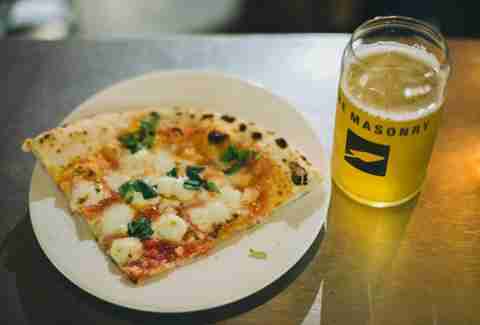 Just two years old, this hole-in-the-wall boozer is already making a name for itself by serving up some perfectly delicious pizzas and spicy meatballs from a wood-burning oven. 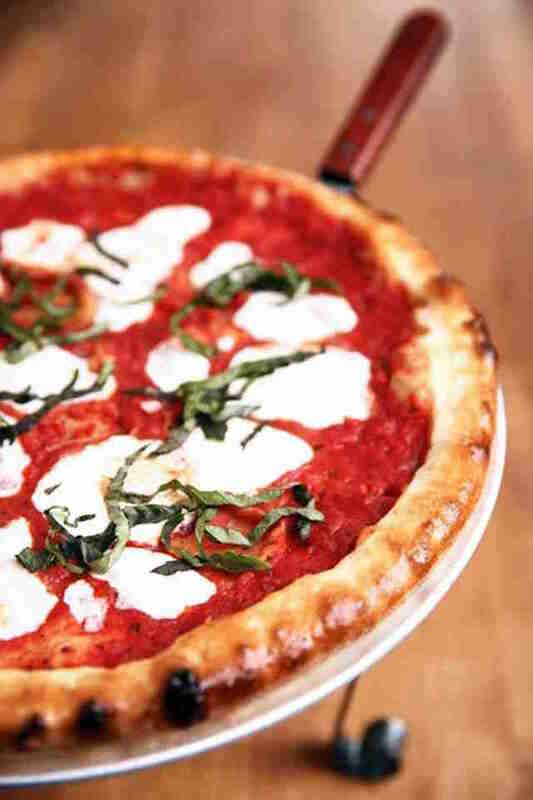 Keep it simple: fresh basil, mozzarella, tomato sauce, and garlic -- you’ll thank us when you let the crispy, starchy crust stand out on its own. 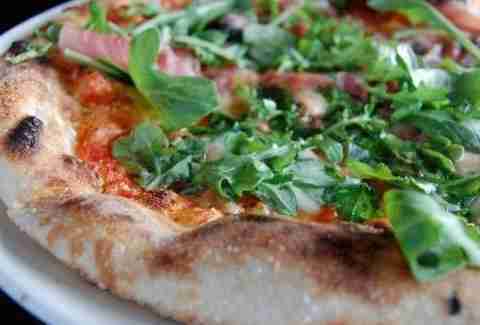 Included mostly because the ‘za is amazing (and partly ‘cause we don’t want this place’s passionate fans from coming after us), this Ballard pizzeria is home to some pretty fantastic-tasting (and looking) pizzas. Pro tip: follow this bacon-y and onion-y pie with some of the D’s bourbon-roasted peaches. Super Chef Tom Douglas perfected SP's slightly sweet, almost pastry-like crust at his bakery around the corner, and it's so good that almost anything would taste amazing on it, but you wanna spend your clams on the 'za topped with diced, fresh-shucked ones from one of the Puget Sound's premier bivalve purveyors. Seriously (see what we did there?! ), this pie can't be missed. Located directly across from Town Hall in a historic 1920s hotel lobby, this cute cafe serves some sweet hand-tossed pies in an incongruently elegant dining room/bar, including this Italian fennel sausage- & spicy pickled pepper-topped number. Fifteen years after closing, this grunge-era Belltown mainstay reimagined itself as a salvaged, wood-heavy Chinatown slice house with seats for 20, and myriad touches from the old space, including vintage signage and a selection of pies that do something almost impossible: make you forget they’re vegetarian. 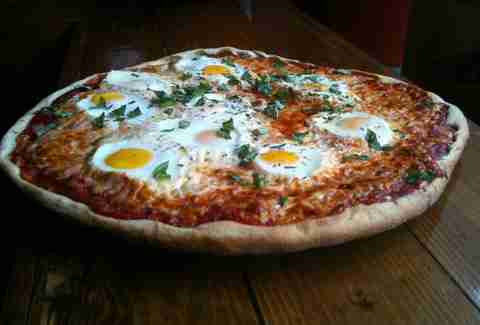 Seriously, after you’re done with the baked egg pizza, just try the veggie pepperoni and see what we mean. 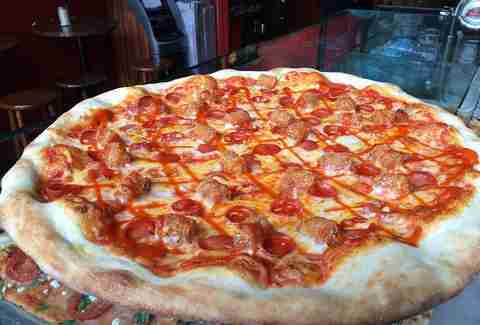 There’s nothing better after a night of bar hopping on the Hill than a steaming slice of cheesy goodness at Big Mario’s, where the specialities include traditional New York-style pizza… and 40s of malt liquor. We’re not kidding. About two dozen seats are available in this cozy and intimate pizza place just across from the beach, and you’ll definitely want to be in one -- with a glass of wine or one of its small selection of craft suds -- when the hand tossed pies, like this four-cheese number made with fontina, mozzarella, Gorgonzola, and ricotta, start coming out of the over. 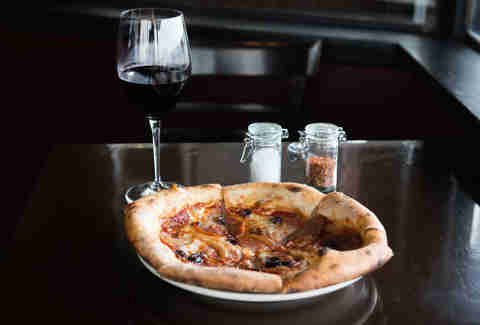 This little Italian joint is well worth a trip to Alki Beach, where personal-sized pizzas (no sharing!) 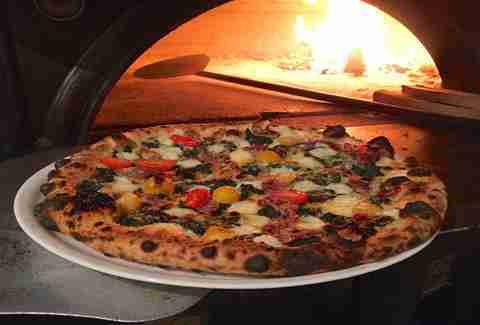 are cooked in a 900-degree oven that makes the perfect crunchy, but airy pizza crusts. And since you’ve probably come so far, why not get a little fancy? Fresh figs, pancetta, caramelized onions, Laura Chenel chevre, fresh and whole milk mozzarella, and EVOO get the job done. 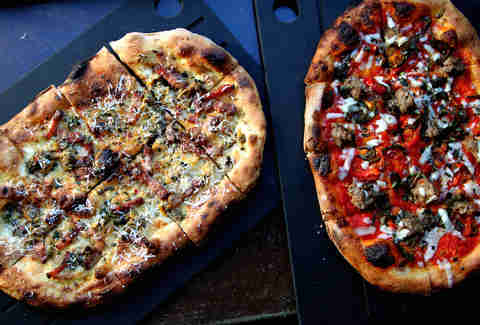 This eatery down south pumps out some truly special pies, but no matter what you order, the stars of the show are the fresh toppings, many of which are made in-house, including the pickled goathorn peppers, which along with house-made sausage, top this must-have pizza pie. 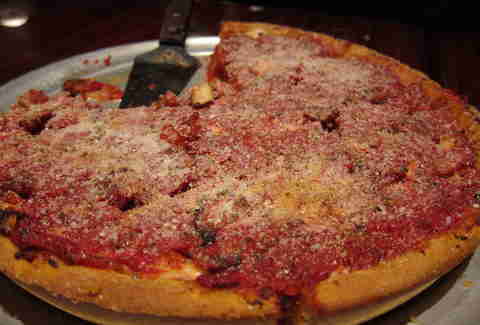 The super-deep dish, chunky sauce, and extra cheese -- that is what makes Chicago-style pizza so irresistible, and this Fremont joint’s filling pies have all that. 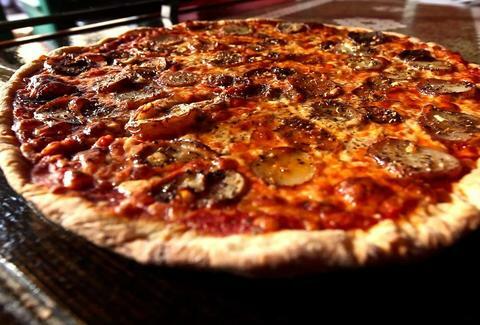 What they don’t have is all of the grease that sometimes comes with rich Chicago-style ‘za, so grab a beer and get in on this meat lover's pizza featuring pepperoni, sausage, ham, bacon, and chicken, without feeling (very) bad about yourself. 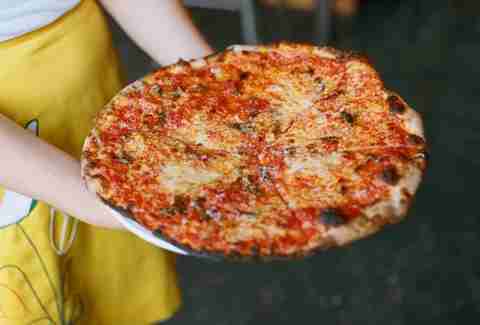 Opened in a space that used to house the shop where Jimi Hendrix played his first guitar, this NY-style ‘za slinger in the shadow of Pike Place market offers a unique experience: trying to eat a pizza so big that you might just end up like Jimi if you finish it (i.e., a legend). Cody Permenter is a freelance writer in Seattle who prefers pepperoni and bacon to sun-dried tomatoes and pesto. Follow him on Twitter.